More rain and mud usually means dirty equipment. This is especially the case with your tactical or hiking boots. 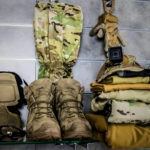 In this blog you learn what products to use and how to use them properly to clean and maintain your tactical or hiking boots. 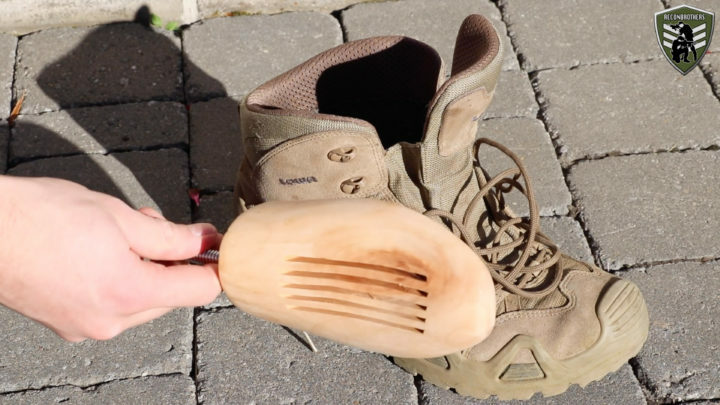 Cleaning your boots when they are dirty is not only important for the smell, but also to sustain comfort and extend the lifespan of your boots. 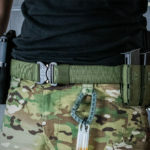 The method shown in this blog works both for leather tactical or hiking boots as well as for tactical or hiking boots made from a combination of synthetic and suede materials. 1.Always take out your soles to let them dry after usage. 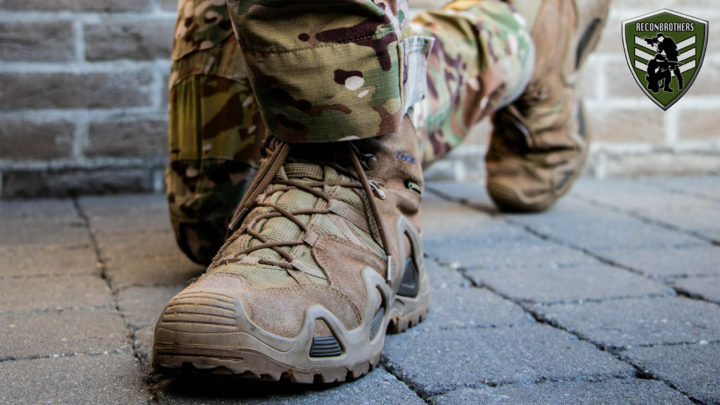 2.When your tactical or hiking boots are muddy, clean the mud off with water. 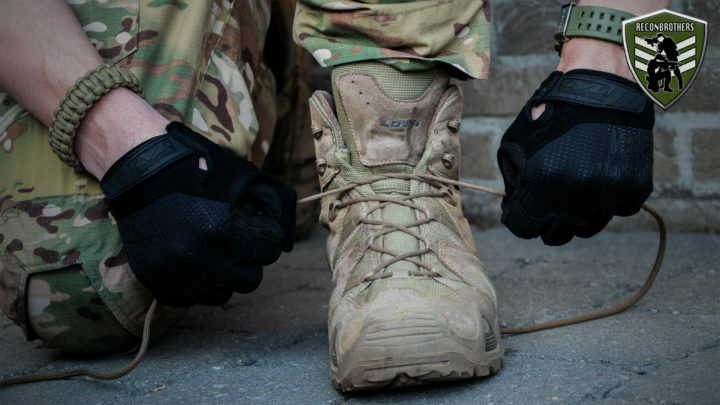 3.Dirty or not, always let your tactical or hiking boots dry after usage. 4.Make use of a wooden shoe tree to extend the lifespan of your boots. This will absorb the moisture inside and will keep your boots in shape. It can also purpose as a nifty handle for cleaning your boots later. 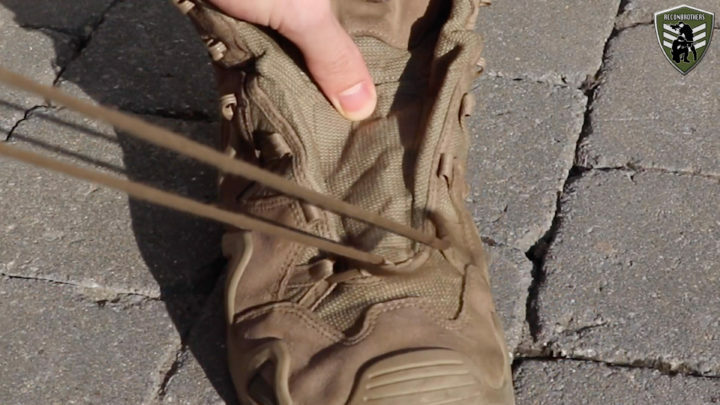 1.Take the laces out of your tactical or hiking boots. These can either be washed in a washing machine or with some warm water. 2.Brush off the superficial dirt from your boots. Use a common leather brush for leather boots and a natural or synthetic crepe brush for suede boots. Make sure you use a clean brush when doing so. 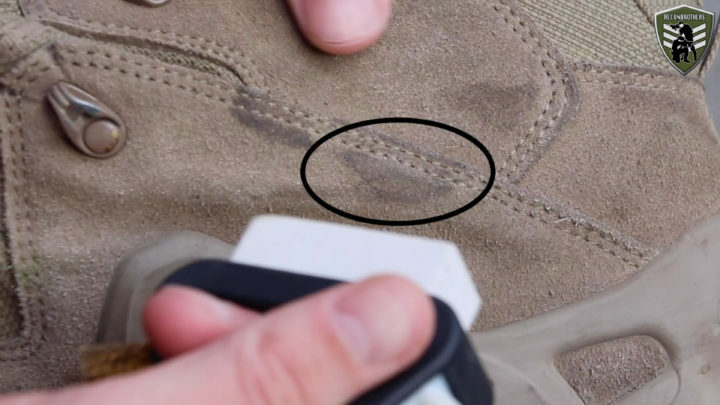 3.To remove the light stains on the suede parts of your boots, you can use a nubuck gum. 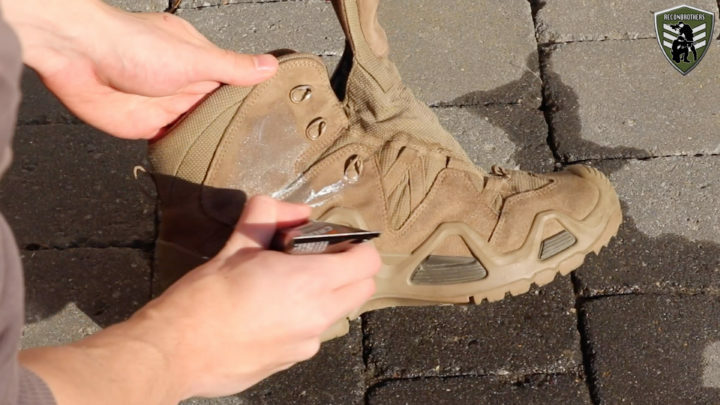 4.Soak the common leather brush in water and use it in combination with the high-tech cleaning foam or shampoo to clean your tactical or hiking boots. 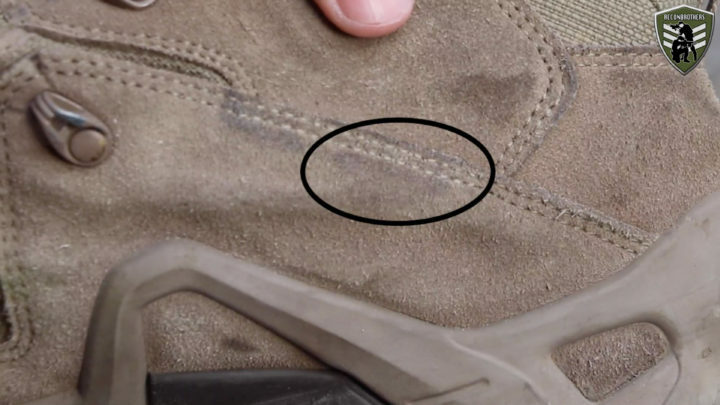 Do not rub to hard or you might destroy the fabric of your boots. 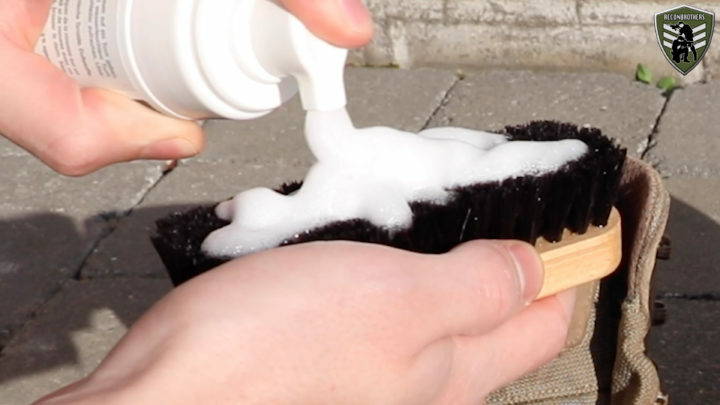 5.Wash down the cleaning foam or shampoo with the common leather brush and clean water. 6.Let your boots dry. 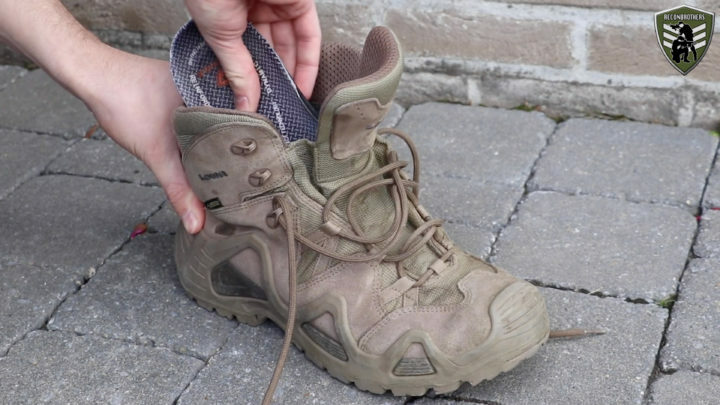 Never put your tactical or hiking boots near a heat source to speed up the drying process. Because this destroys the material. 7.To further maintain the flexibility and quality of the leather parts of your boots, you can use a nourishing cream. After applying the cream, wipe off the extensive cream with some kitchen paper and let the cream dry. 8.When the cream is properly dried, you can use a brush or a cloth to make the leather shine. For nubuck or suede boots you can use a crepe brush to maintain the textures of the suede. 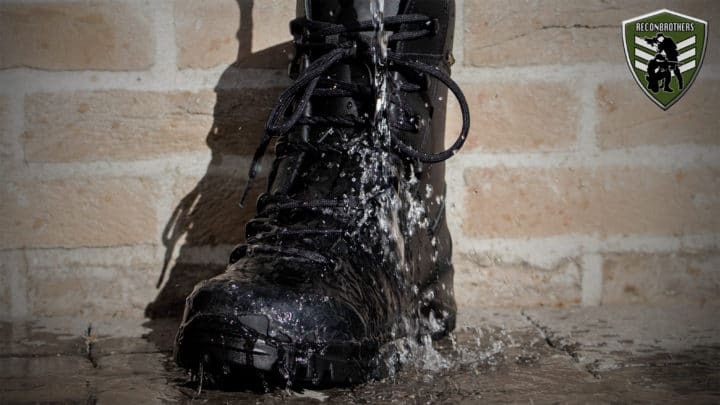 9.At last you can waterproof your tactical or hiking boots to protect the outer layer against water and dirt. 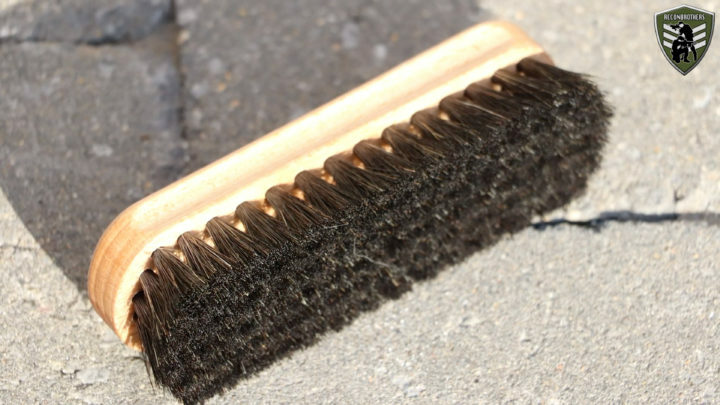 The common leather brush can be cleaned with water. The nubuck gum and crepe brush can be cleaned with a piece of fine sandpaper. Enjoy your clean boots next time you go in the field. If this blog was helpful for you, make sure to share it with your friends so they can learn to do it properly as well.